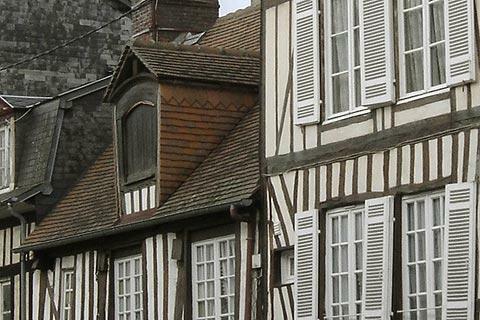 The town of Pont-Audemer is on the Risle River, in a quiet part of Normandy towards the west of the Eure department and about 30 km east of Honfleur. The town is officially listed as a 'plus beau detour' town. 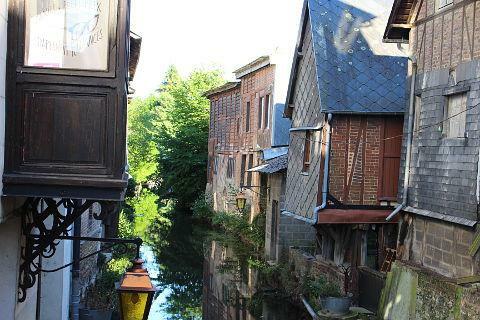 The heart of the old town for your visit falls along and between the north and south branches of the Risle River. 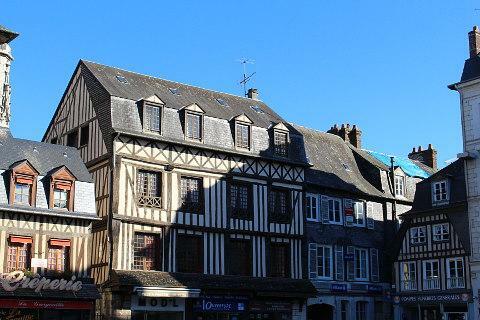 Start your visit perhaps with a stroll along the Quai Francois Mitterand, on the north of the river, and a visit to the Pont-Audemer Tourist Office on Place Maubert on the quai for a copy of their leaflet with a map and guided walk. 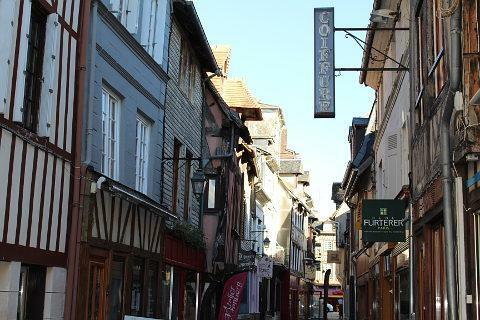 With several canals crossing the old town, the attraction of Pont-Audemer largely revolves around the water - it is sometimes referred to, rather optimistically we thought, as 'Normandy Venice' - and the medieval streets of the town centre. The two parts of the river are joined by the the parallel streets of Rue de la Republique and Rue Sadi Carnot and by various canals. 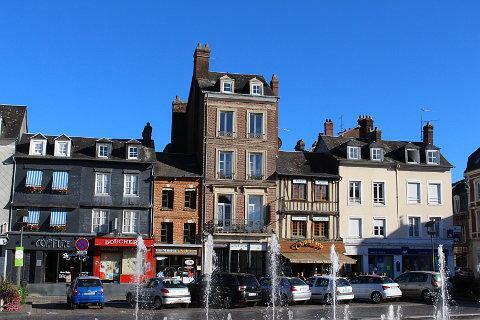 As well as following these two main streets be sure to also stroll along the two short streets that join the larger thoroughfares, called Rue Paul Clemencin and Rue Place de la Ville, for views of the old houses along the canal. 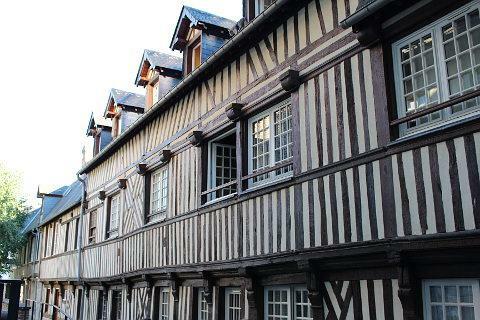 Rue Sadi Carnot has some particularly elegant buildings with interior courtyards typical of the style of the Middle Ages. 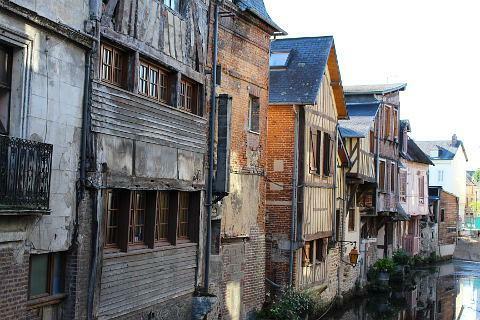 There are a good number of half-timbered buildings to discover in the old streets, such as in the Impasse canel, the Impasse Saint-Ouen and Rue Notre-Dame-du-Pre while glancing along the canals you can see the ancient lavoirs (washhouses). 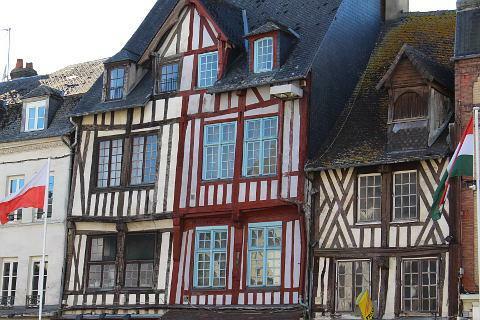 The most imposing individual monument in Pont-Audemer is the Saint-Ouen Church on Rue de la Republique, a substantial (if unfinished) church dating from the 15th-16th century and containing some notable stained glass. You can also visit the Museum Alfred Canel which contains a rather eclectic mix of objects including arts, archaeology and local industries. 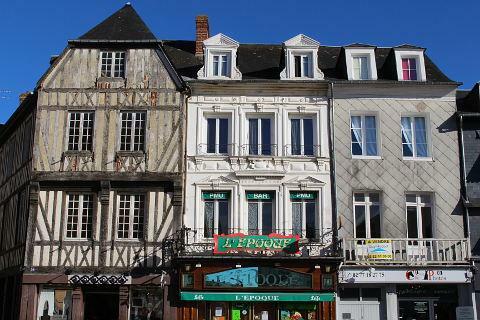 Pont Audemer narrowly missed being razed to the ground during World War 2. Bombers had been sent to bomb the town but thick fog prevented them from flying in formation and instead they dropped their bombs randomly and the historic centre escaped the raid. Several resistance fighters from the Second World War are remembered by having streets named after them. 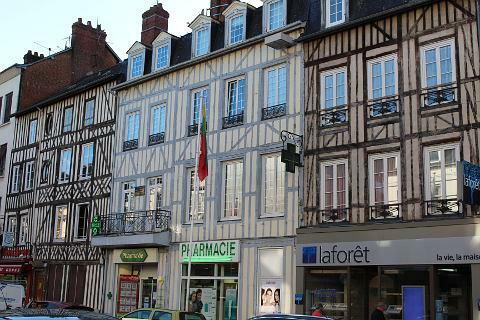 These include Rue Paul Clemencin and Place Louis Gillain. 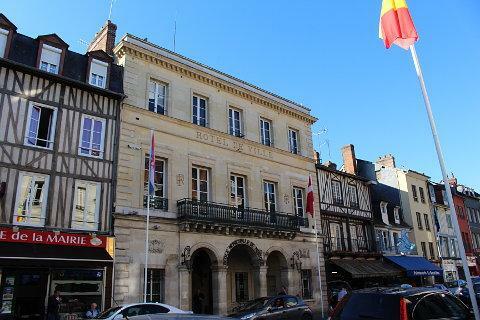 You will enjoy a trip to Caudebec-en-Caux, north of Pont-Audemer, to stroll along the banks of the Seine and to see the lovely gothic style church and many opportunities to enjoy the countryside can be found throughout the Parc Regional de Brotonne, just to the north of the town. 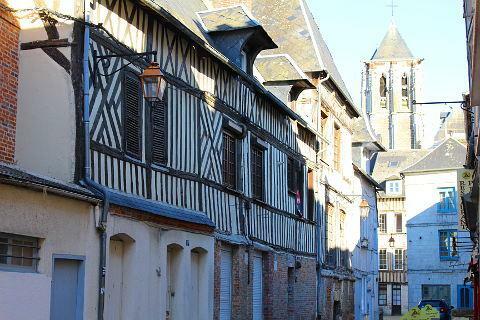 The abbeys at Le Bec-Hellouin (south) and Jumieges (east) are among the important historic monuments nearby while beach enthusiasts will want to travel a short distance west, perhaps to Deauville or Honfleur. 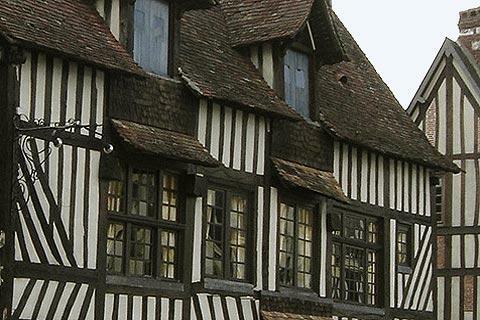 You can find more local travel ideas in the Eure guide and the Normandy guide.